Get started making an animated music video! 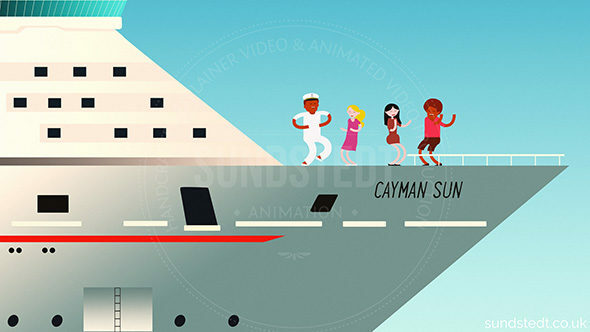 Cayman Dance – Animated Music Video made by Sundstedt Animation for the artist DEZ new single, released 31st of January 2018. 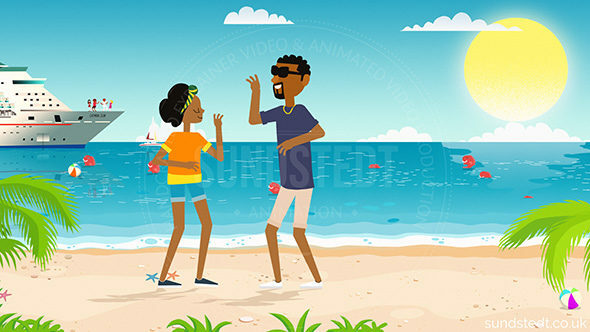 We asked the client to provide the basic story for the Cayman Dance Animated Music Video. We then came up with the visual style, art direction, designs, character designs, all artwork, backgrounds and animations for the video, all handcrafted from scratch. 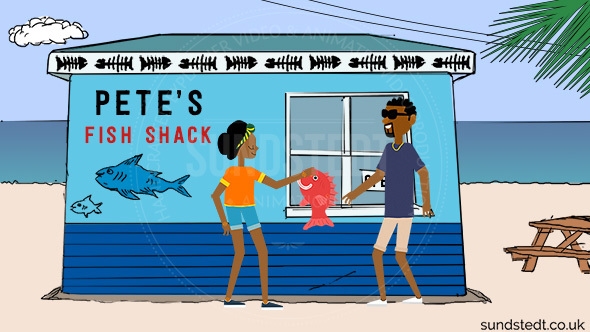 We decided to go for a detailed 2D cartoon style, including walking and dancing characters. 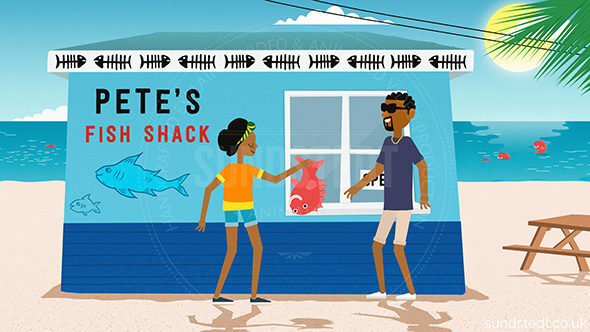 We designed the characters and this video features 8 characters, so artwork and illustration to design and prepare these and all the backgrounds for animation was a lot of work. We wanted to make sure everything looked cohesive and we had all characters and scenery approved by the client before the animation start. We communicated regularly with the animated music video client throughout the production. Finally we put all scenes together to the complete animation, carefully applied our color adjustments and added many additional improvements. The client loved the video we made and was very happy with the added extras and finally we delivered the Animated Music Video to the client for use as the main intro to their website page and social media. 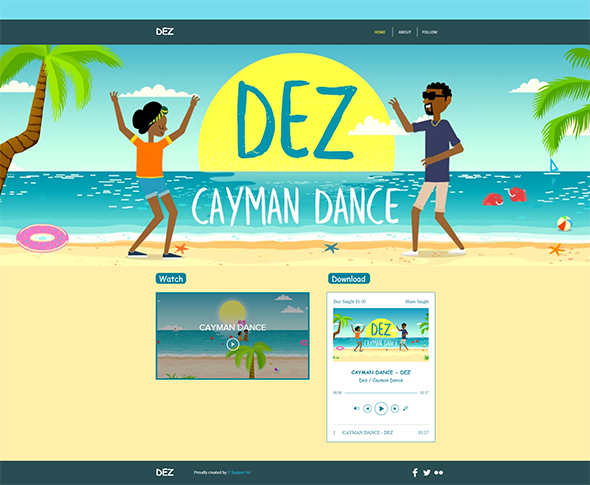 When measuring the success for animated music video content like this one, it is best done by looking at social engagement, for example the number of views, shares, likes & traffic, here with the goal to provide a really great marketing and awareness about DEZ new single ‘Cayman Dance’. DEZ has published the video on their brand new official website. 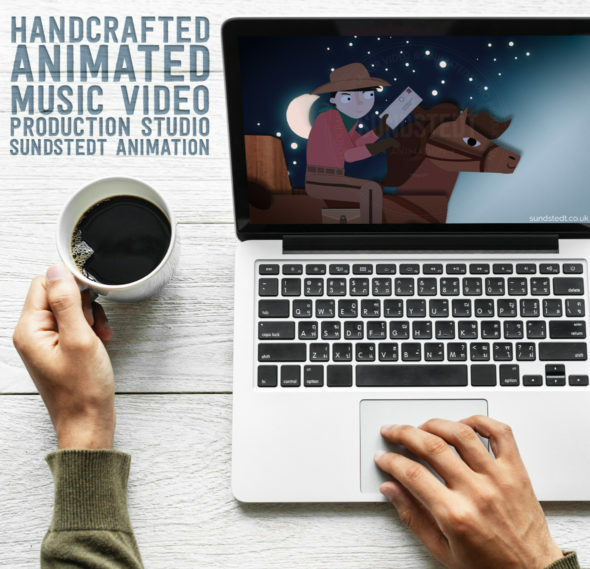 The website landing page and all other web pages backgrounds are entirely based on the original animated video illustrations, artwork and character designs by Anders Sundstedt. It has also been promoted on their YouTube page. This gallery shows some work in progress and behind the scenes images from the Cayman Dance Animated Music Video production, including unused items.